Every few weeks I have 2-3 bananas ready to be baked. They ripe faster than we can eat. I was going for a potluck & decided to use up those bananas for a sheet cake. Once the idea took hold, it grew into soaking the cake in Tres Leches & topping with Dulce de Leche. The name sounds long and complicated but it isn’t. Dulce de Leche I had already made and stored in refrigerator. I gave it few spurts in microwave to bring it back to desired consistency. The best part about this cake that it is eaten or served in the baking dish itself. I am bad at removing cakes from pan. So for me this was a big advantage. Soak the cake in Tres Leches overnight and then pour and spread Dulce de Leche. Refrigerate the cake till ready to serve. The cake was a heavenly delight. Before leaving for Potluck I kept few slices for V at home. He couldn’t control and ate them immediately. And told me not to bring the cake back as it is so good that he won’t be able to resist and finish off the entire cake. I was happy with the result, I tried so many new things. The cake was delicious in every bite. It was rich, moist and decadent. 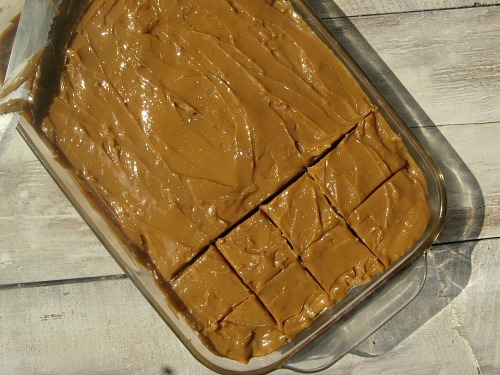 A Sheet Cake for parties and potlucks. Can be served straight from the pan. The cake is rich & moist and is a lovely dessert. Preheat the oven to 180°C. In a medium bowl, whisk together the flour, baking soda, cinnamon, and salt. Beat together in a mixer the butter and sugars. Mix in the vanilla extract and mashed bananas. Mix in half of the flour mixture, then the curd, then the other half of the flour mixture. In a large bowl, whisk together the evaporated milk, sweetened condensed milk, heavy cream and rum. 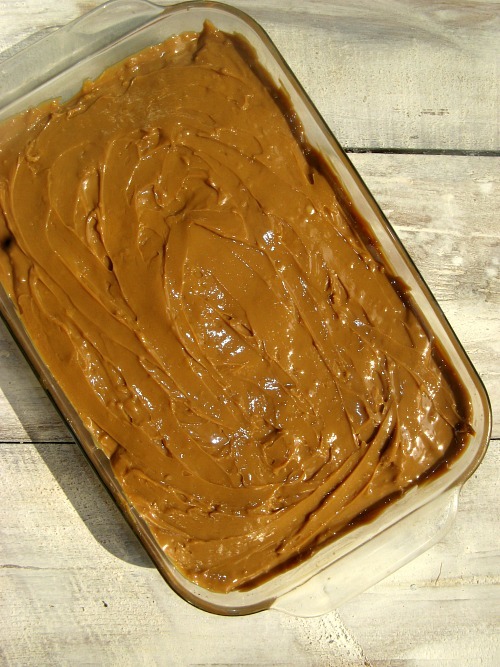 In a medium microwave-safe bowl, combine the Dulce de Leche, rum and water. Heat for 30 seconds in the microwave, then whisk to combine. Once the cake has cooled and run a sharp, thin-bladed knife around the edge of the pan to loosen the cake from the sides. Poke holes in the cake with a skewer or point of a small, sharp knife at 1/2-inch intervals. Slowly pour the soaking liquid over the cake. Let it sit for a few minutes to absorb. If it's slow to absorb, run a knife around the edges of the cake again and poke a few more holes. Place the cake in the refrigerator to chill for at least 8 hours or overnight. Spread prepared glaze over cake. Place the cake back in the refrigerator until ready to serve. Sending this to Bake Fest # 28 originally started by Vardhini.